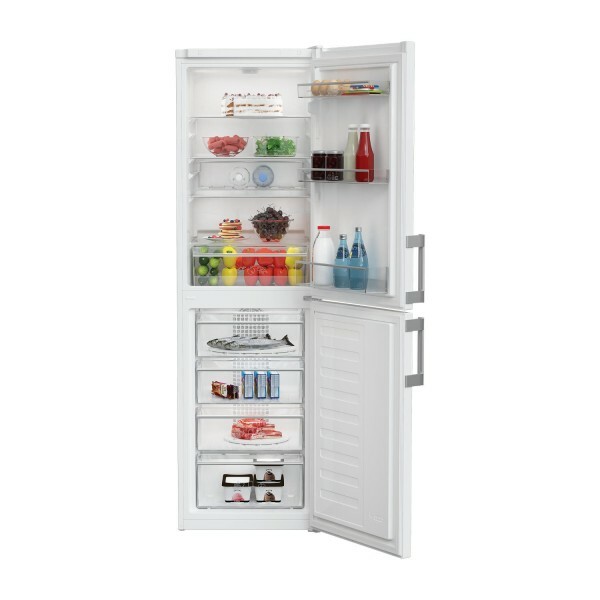 Product information "Blomberg KGM4550 55cm Frost Free Fridge Freezer in White"
With a 168-litre fridge capacity (net) you can store all your chilled goods with ease. The four glass shelves make organising food and drink effortless, whilst the salad crisper compartment will keep all your fruit and vegetables fresher for longer. Keep your white wine chilled thanks to the convenient chrome wire wine rack, providing a convenient and elegant space to store your bottles. The freezer section has a 95 litre capacity (net) with three handy drawers to help you store and organise all your frozen meat, vegetables, potatoes, ready meals and desserts. The clear drawers make it easy to see what’s in the freezer without having to rummage through, whilst the built-in slim-line ice tray allows you to easily grab those much-needed cubes for your beverage on a hot day. If you want the practicalities of having a fridge freezer but don’t have the space available in your kitchen, then the KGM4550 is ideal. With food protector technology this fridge freezer will continue to work in temperatures down to -15°C – allowing you to store your fridge-freezer in an outbuilding or the garage. Both the fridge and freezer doors are reversible and can be left or right-hand opening – allowing for maximum flexibility when installing the appliance. 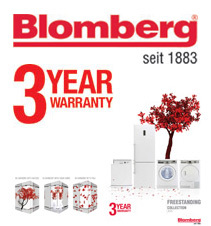 Related links to "Blomberg KGM4550 55cm Frost Free Fridge Freezer in White"
Customer review for "Blomberg KGM4550 55cm Frost Free Fridge Freezer in White"